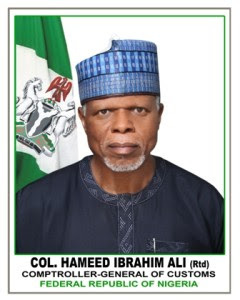 Shipping industry stakeholders, including importers and freight forwarders, during the week, while cautioning against mass retirement in the Nigeria Customs Service (NCS), unfolded a new agenda that will guide the new Comptroller-General, Col Hammed Ali (rtd), in his reform mandate. It is about a month and few weeks that a new Comptroller-General was appointed for the Nigeria Customs Service (NCS) in the person of retired Col. Hammed Ali, a disciplinarian and former military administrator of Kaduna State. Since his appointment, there have been so much expectations because of the specific task given to him by the President. He was asked to reform, restructure and generate more revenue. Apparently aware of the enormous task for the new CG, industry stakeholders in a new agenda said Ali should be cautious to ensure he does the right thing that will promote trade and not stifle it. Promoting trade, according to stakeholders, is the surest way to generate more revenue from the ports. The new CG is being reminded that too much emphasis on revenue collection through monthly targets given to commands over the years if continued will only end up stifling trade and make Nigeria uncompetitive with the neighbouring ports. On how the new CG can transform the Customs as part of the reform, founder, National Association of Government Approved Freight Forwarders (NAGAFF), Dr Boniface Aniebonam, cautioned against mass sack, retirement of officers of the Customs, saying it may not be the best way to fight corruption in the ports. Aniebonam is joined by other leaders of freight forwarding associations who also want Ali to be cautious to be able to do a good job. President of NAGAFF, Dr. Eugene Nweke, factional President of National Council of Managing Directors of Customs Agents (NCMDCA), HRH Festus Ejiofor, National President of National Association of Freight Forwarders Council (NAFGFGAC) Chief C.A.T. Agubamah, and President of Association of Registered Freight Forwarders of Nigeria (AREFFN), Dr. Frank Ukor, in a statement said Ali should exercise wisdom in executing his assignment. The freight forwarders, also said they were looking forward to be saved from the “inexplicable extortion in the ports”, adding that their expectation has been that by now the CGC should have visited the ports and strategic border locations with a view to conferring with the stakeholders. “To achieve the mandate of reforms, restructure and revenue collection, we expect that he should start by conferring with the stakeholders with a view to obtaining firsthand information. If Col. Hameed Ali (rtd.) continues to confer only with officers it may be risky to the mandate of Mr. President and anti-corruption crusade. “At the moment the rate of corruption has increased because of uncertainty. At present it is to grab whatever you can because you do not know what happens next. The instances of alert application from unauthorized units, valuation, CIU, enforcement and others have continued in a regrettable proportion.The instances of frivolous and unsubstantiated demand notes from the valuation unit have become unbearable including the extortion therein”. “In the instance, there is the need to bridge the gap between the clearing costs at the seaports, airports and border stations. The inherent differential in the cost of clearing goods out of Customs control at Jibiya border, Idiroko and Seme with Onne ports, Apapa and TCIP are so much without realizing that the importers compete in the same market. Therefore the urgent need for universal application of value for imported goods in all Customs commands cannot be over emphasized”. NAGAFF founder, Aniebonam, said that Ali should block all unethical processes of clearing goods out of the customs control as part of the reform. The new Comptroller –General, he said, should work hard on addressing issues of poor welfare, injustice and internal wrangling in the Customs because of their negative effect on the Service. He also cautioned Ali against making the mistake of involving officers of the Economic and Financial Crime Commission (EFCC), Independent Corrupt Practices Commission (ICPC), and State Security Service (SSS) in customs operations as was the case during the six year tenure of the former Comptroller-General, Alhaji Inde Dikko Abdullahi. He said the involvement of these agencies in customs operation exposed the Service negatively instead of adding any value. On the issue of welfare, he advised Ali to go into records of what happened in 2004 reform exercise to be able to address it as part of the internal wrangling in the Service. “ I know the last reform in customs created so much problems in customs and has to do with 2004 and up till today, customs has not recovered from that. It was when a lot of people were given unlimited promotion. And that jolted the entire system as far as customs is concerned. To tackle this problem is to go and look at records, look at those who have not been fairly treated and bring them up. Give them opportunities and give them sense of belonging. Apart from this, he also decried poor welfare for officers in the system, adding that correcting this should be part of the reform measures that will boost morale and then revenue in the system. “I am speaking as a former customs officer and a critical stakeholder who has a lot to do with customs operations. I am very close to customs and we are conversant with some of their problems. A lot of officers are grumbling, working without satisfaction because they have not been treated fairly when you look at the responsibilities they have been saddled with”. Noting that the zonal offices created all over the country have been nearly idle as no serious function is given to them, Aniebonam urged the new CG to now strengthen them to handle some cases being taking to Abuja headquarters of the Service. According to him, it has been a nightmare for importers and freight forwarders to travel to Abuja to resolve issues that can easily be handled at zonal offices. “The 2004 restructuring seems to have removed power from the zones. All things go to Abuja. Even a minor trade dispute goes to Abuja for settlement. Everyone goes to Abuja for ordinary licensing regulation. So, what we need to do is to return the authority to the zonal officers so that they can handle some of these minor issues while the customs headquarters will be charged with responsibility of policy direction. Ali needs to look at that and make all zonal offices to be very effective in administration. He still has the power to retract any direction that somebody may have gone contrary to his ideals. It is simple”. Over the years, revenue target is given to the Customs every year. In addition, the CG sets his own target for the commands. The effect is that the commands embark on dubious ways of ensuring that they meet the target and still line pockets of some officers. 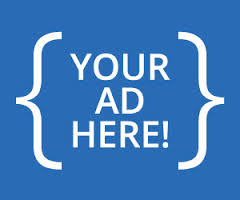 One of the ways is by over-billing importers through Demand Notices (DN). The implication is that no matter the value of goods as declared by the importers, the commands will always give additional duty which the importer must pay. Most times, the importer negotiates this, and in the process the officer giving the DN must be ‘settled’ to ensure that the DN is not high. This is one of the reasons why Nigerian ports are described as very expensive, a development that has forced many to patronise neighbouring ports or encouraged smuggling. To Aniebonam, “revenue is a function of cargo throughput. It is when you see cargo that you begin to talk of revenue to collect. And to collect such revenue, you will be looking at ensuring proper description of cargo, making sure genuine declaration of cargo, thorough examination, and taking inventory. He advised the Customs CG to consider strict enforcement of trade regulations to stop under-declaration, concealment and under-valuation, adding that once this is done, importers will begin to pay appropriate duties. “Section 46 and 47,102 are there. So, government must develop the will to enforce regulations. These are very simple things. The intention of some of these importers, particularly those who smuggle, is to evade customs duties. So, if you conceal, undervalue, you are a smuggler, because the intention is to evade customs duty. And the law has taken care of this, so it is about enforcing the law”.